The holidays are coming, and whether that fills you with the warm-fuzzies or absolute dread, there’s no two ways about it: One of the biggest gift-giving seasons of the year is on the snow-covered horizon. Of course, some people are easier to shop for than others. The most elitist gift-receivers of all? Toddlers. Not a baby, not yet a child (that’s the new Britney Spears song, right? ), toddlers are in that weird middle ground where they demand independence yet have no idea how to do anything they want to do themselves. Much like tiny drunk adults, you can’t rationalize with them; all you can do is watch them dump spaghetti on their heads and hope they go down for nap soon. No idea what to get your toddler for the holidays? It doesn’t really matter because whatever you give them, they’ll like the box better. We all know they’d rather eat the lint out of the dryer trap than chew on whatever brightly colored, ergonomically designed, organic $45 rattle you buy them, so what’s the point? 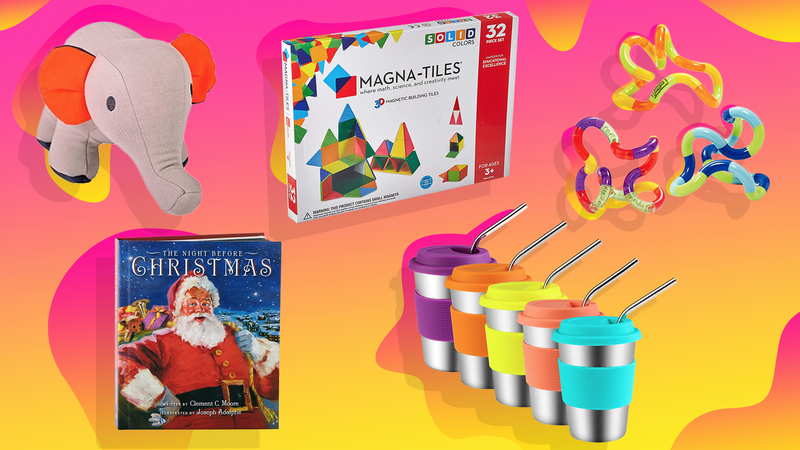 Good news: We’ve gathered up 15 ridiculous things your toddler actually wants for the holidays — and the saner items you can buy them instead. They want: 10 minutes alone with a roll of toilet paper. Give them: well, the toilet paper, but if you don’t want your mother-in-law picking wads of soggy toilet paper out of your kid’s mouth and giving you that raised-eyebrow look she does oh-so well, try a roll of wide satin ribbon. You can put it on the toilet paper roll in the bathroom, and they can unspool the soft ribbon to their heart’s content, no spitballs in sight. Give them: one of your old cell phones. How many of us have a drawer of old cell phones (looking at you, flip phone) that just take up space but are hilarious to think you actually used back when screens were 2-inch squares and black-and-white. Or if you didn’t hang onto your old phones, try one of these new flip phones instead. They want: one of those bone-shaped cookies they think must be your favorite because you freak out whenever they sneak one from the box next to the dog food bag. Give them: a different bone-shaped cookie they can eat without the freak-out. These crazy biscuits come in three flavors — milk, carrot and seaweed — so either they’ll like them and be getting some veggies in or they’ll hate them and stay away from the dog’s treats. They want: a shirt with a cartoon character they recognize on the front that they’ll change their mind about in two weeks anyway. Not that one. Not that one. That one. Give them: a shirt that they can change at their will to match their moods. This design-changing sequin shirt has a silver dinosaur design — but rub the sequins in the opposite direction, and it changes the dinosaur’s speech bubble to a black background that says, “roar.” This orange shirt is the perfect gift for the toddler who’s mood changes give you whiplash. They want: something huggable. Like, you know, a puppy. Give them: the most huggable toy there is. Yogibo Mate beanbag stuffed animals come in a menagerie of animals, including an octopus, a sloth, a koala, a penguin, an elephant and more. These squishy creatures are also machine-washable, so they can go on any and all adventures your kiddo can dream up. They want: a toy that takes six batteries, has no off button and is super-easy for a parent to trip over and activate in the middle of the night. Give them: a plush toy they can play with that doubles as a night-light and sound machine (with an auto-off so you don’t waste batteries) and that you turn on by squeezing a very specific spot (so no accidental, heart-stopping, “Hi, I’m Dora!” at 2 a.m.). They want: whatever toy their older sibling is holding at this exact moment. Give them: something they can do with their sibling instead of an individual gift. Magna-Tiles encourage sharing and teamwork — and while there’s nothing we can do about siblings knocking down each other’s creations, there’s bound to be a moment our two of love and sharing before one of them karate-chops the other’s tower, right? They want: an empty box, size L.
Give them: the best fort-building kit in the land. Sure, one of the best parts of cardboard box forts is that you can go to town with a marker all over the inside. Not the case in most other forts. But luckily, HearthSong has a fantasy fort-building kit with chalkboard panels, so not only can you have a badass fort, but you can also decorate it, erase and decorate again. They want: Grandma. All the time. Give them: a Christmas classic recorded in Grandma’s voice. You can choose from Rudolph the Red-Nosed Reindeer or The Night Before Christmas; these books let you record Grandma reading them, so as your kiddo flips each page, it’s the closest they can get to Grandma without FaceTiming her for the ninth time that day. Give them: their very own tiny set of breakables. JK. This take-along tin tea set is unbreakable — and it contains a teapot, four plates, cups, saucers and a serving tray and comes with its own adorable tiny suitcase to hold it all in. They want: for the cat to stay still long enough for a hug. Or five. Give them: a faux-fur pillow they can squeeze and pull on instead. We get it. Fluffy is appealing, but since the love isn’t exactly mutual, this pillow will provide the perfect distraction from pulling out all Fluffy’s hair. Fluffy and her remaining hairs will thank you. They want: a chance to climb the Christmas tree. Give them: their very own artificial Christmas tree. A Christmas tree that’s their height, weighs 8 ounces and if it falls over won’t bring down the armoire full of priceless crystal stemware? Deal. 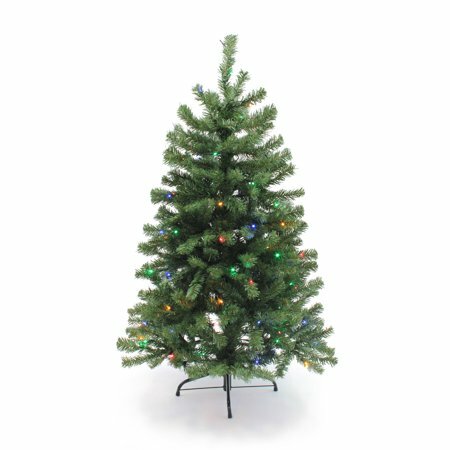 Plus, it’s pre-lit with LED lights that will wow your tiny tot and be the perfect holiday night-light. They want: juice, but only in a red cup. Give them: a new set of favorite cups. Does your toddler have a specific cup — or color of cup in general — they must drink from, and only that one? Also, do these exacting requirements of theirs… change daily? Solve the problem once and for all with this five-pack of colorful stainless-steel cups with silicone sleeves and lids and five stainless-steel straws. There’s a dishwasher-safe, leak-proof cup of a different color for every day of the week. They want: an all-access pass to the big bed. Give them: a special spot to lounge of their very own with a toddler couch that folds out into a tiny bed. You can even keep it in your bedroom closet and bust it out for family movie nights right alongside your bed. They want: to buckle the car seat/close the door/turn off the light by themselves. Give them: a light switch extender to foster their independence and let them feel like they’re in charge of their surroundings. This light switch extender has a 12-inch extended handle that allows them to turn the lights on and off themselves without the dangers using a wobbly kitchen chair as a stool. They want: that tangled web of electrical cords behind your desk. Give them: a different kind of tangle. Purple Ladybug Novelty Noodlin’ Noodles are stretchy noodles you can twist, bend, wrap, twirl and more. This 10-pack comes in a rainbow of colors, and they’re great sensory toys for little ones.